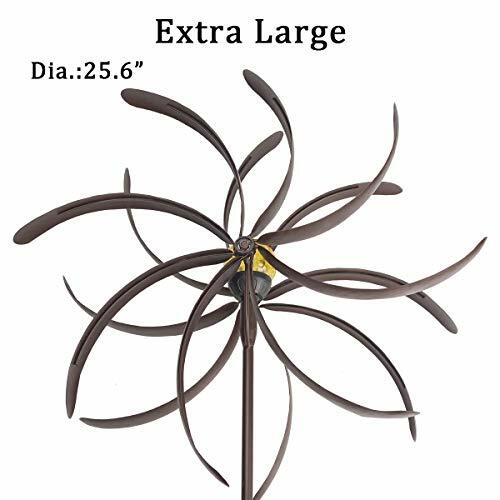 Extra Large Wind Spinner: 25.5″ Dia. 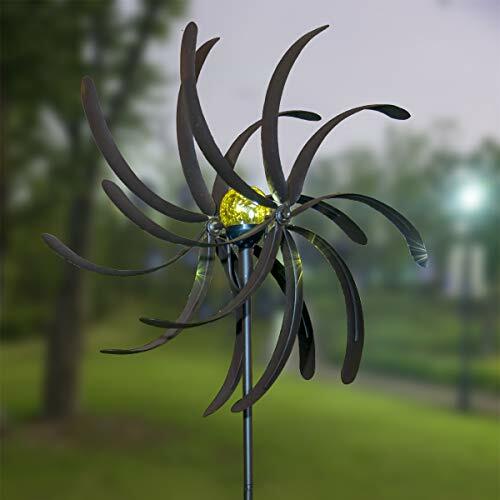 x 71″H, much larger than other normal wind sculptures. 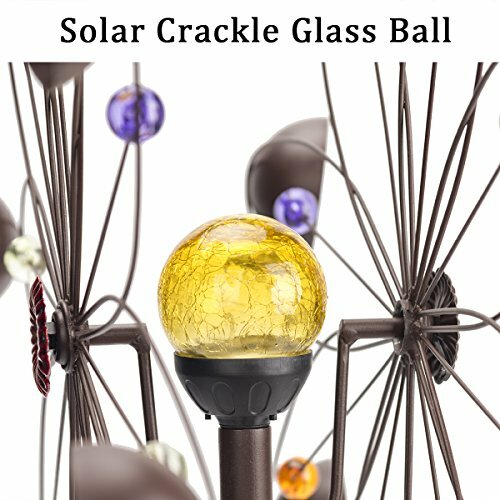 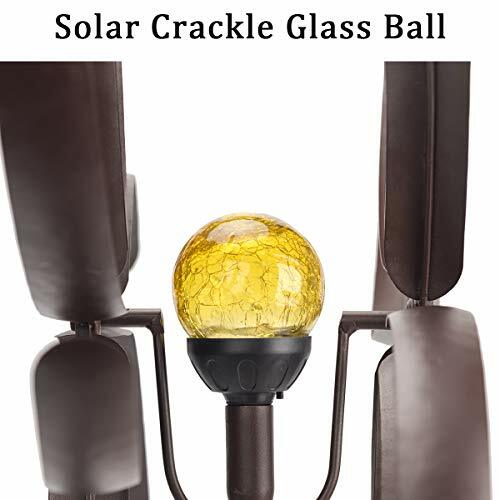 You Can Even Enjoy It At Night: At its center, the crackle glass ball lights up using solar power technology for a beautiful effect after dark. 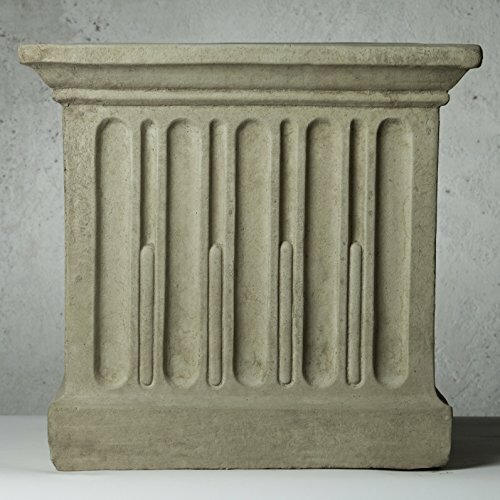 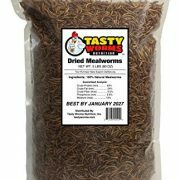 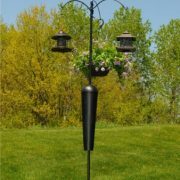 Premium Finish: Durable metal construction with a special finish that’s dimensional, long-lasting and weather-resistant. 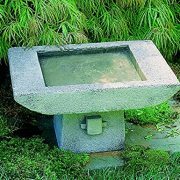 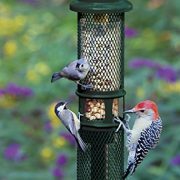 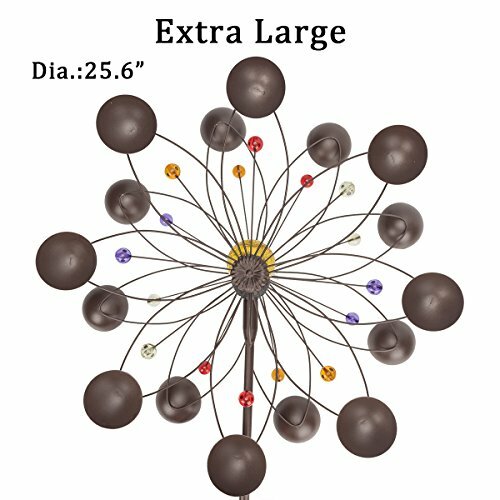 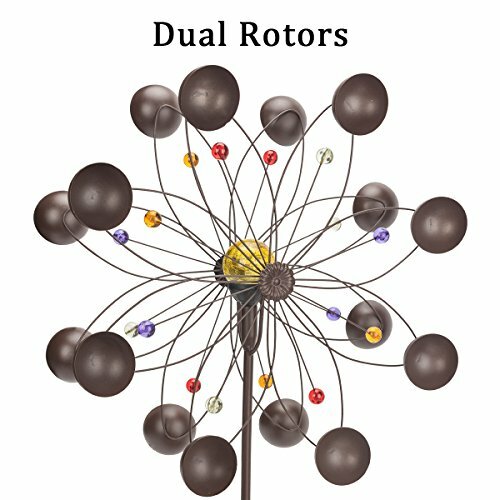 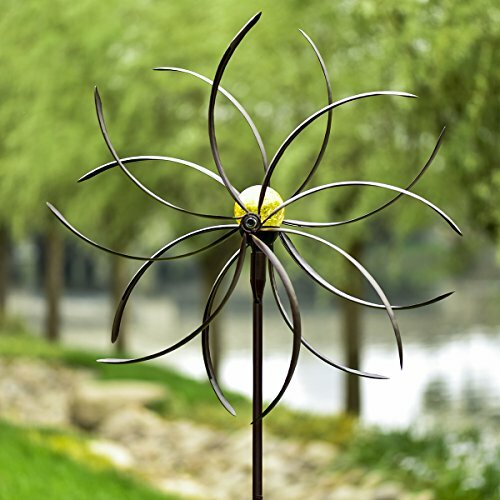 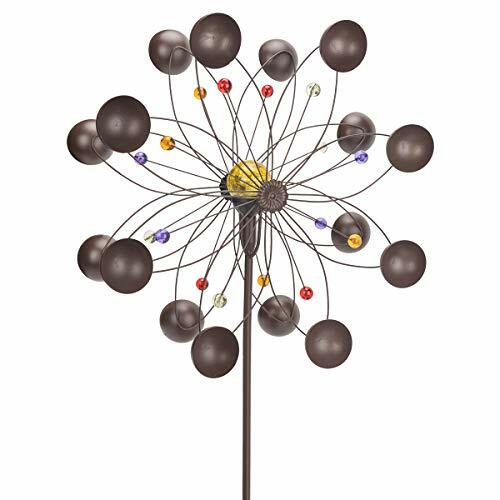 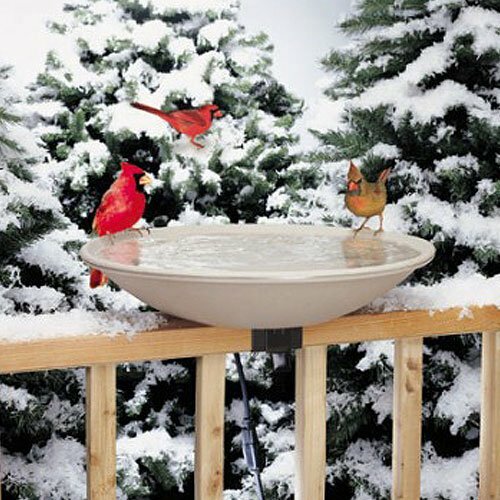 Kinetic Yard and Garden Art: It will catch a breeze from any direction, adding color and eye-catching movement in any season.